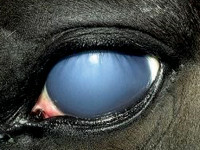 Cataracts are anything that stops light passing through a horse’s lens in their eye – we examine horses for cataracts frequently, and an eye examination is always included in pre-purchase examinations (vettings). 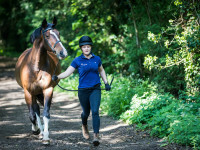 How can I protect my horse from sunburn? FINALLY warm weather, long days and little to no mucking out!! However, those of us with pink skinned horses might not be quite as pleased as this lovely weather can bring with it a big problem- sunburn! Should I feed my horse a balancer? 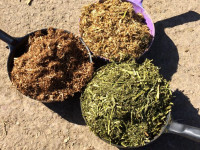 Horse feed balancers are one of the most misunderstood types of horse feed. So what is a balancer? 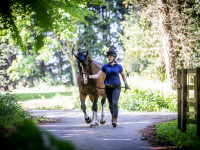 Balancers are a low intake concentrated source of vitamins, minerals and sometimes protein designed to balance the horses diet and provide all the essential nutrients required for optimum health and performance. 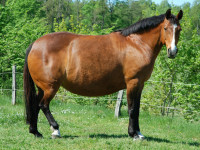 Equine obesity effects 50% of pleasure horses, ponies and donkeys. 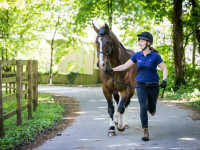 There are many health risks associated with excess weight, one of the most devastating consequences been laminitis. 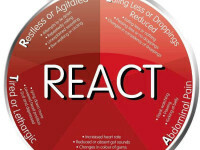 However, prevention is better than the cure! Atypical myopathy is a very serious condition which results in the destruction of the horses skeletal muscle. 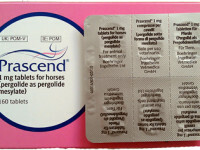 It most commonly occurs in horses at pasture with young horses considered to be at a higher risk. 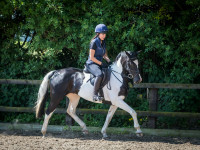 Outbreaks can occur with multiple horses affected in a certain geographic area. 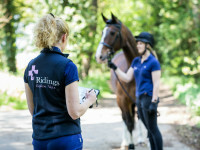 Did you know that there are certain factors which may increase the risk of colic in your horse, pony or donkey? In around 70% of colic cases, the diagnosis is either a spasmodic/gas colic, or no cause is identified. Spring has finally made an appearance, it may be short lived now but I’m choosing to ignore the ‘beast from the east round 3’ rumour that is circulating. Pre-purchase examinations (vettings) – why bother?